Symphony Amore is out on Tuesday! Early reviewers are loving it (and so am I, now that I have my complete copy)! You can preorder from most major ebook retailers here. You can also check out an interview I did with our lovely editor, Jordan Monroe, here. She tried to get me to name a favorite piece of music, like that's a thing that happens. Pssh. You can also read what the rest of the authors in Symphony Amore had to say for themselves on Jordan's blog. If you want to help spread the word about Symphony Amore, you can sign up to support the Thunderclap campaign here. I've teamed up with the Giveaway Guy to give readers a chance to win either a Kindle Fire, or a copy of Dark Rooms. Enter here for your chance to win! It's been a bit of a whirlwind couple of weeks as I settle in to a new day job and adjust the rest of my life around my new schedule. But I'm enjoying the work, learning a lot, and loving (for now) dressing like a grown-up to go to work. Heels! Make-up! Not being covered in food bits by the end of the day! It's nice for my lazy femme soul. Lastly, a book I finally read after Tamsen Parker recommended it to me on multiple occassions. Dear heck, I LOVED this book. 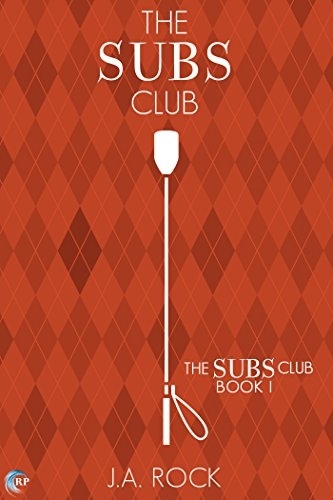 If you're into snarky subs and Doms who have an awful lot in common with Ron Swanson, get thee to the Subs Club. Like now. My husband kept looking at me like I'd finally lost my marbles, I was laughing so hard during certain scenes, but Rock also handles some of the very real issues the kink community faces with sensitivity and grace. I loved it. Newer PostSymphony Amore is OUT!